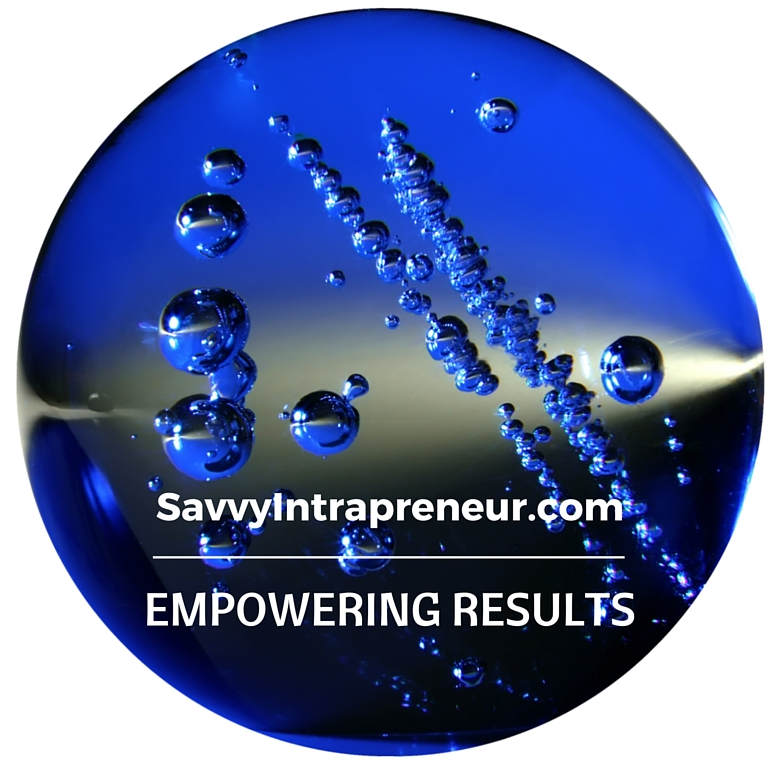 Home Savvy Intrapreneur Traits Your Career is Your Business What is a Savvy Intrapreneur? 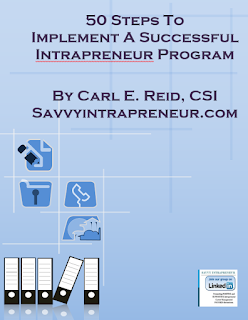 The first question people ask me regarding implementing an intrapreneur program, workshops or business career consulting services is "what is a Savvy Intrapreneur?". First, let's answer the question "What is an Intrapreneur?" Gifford Pinchot coined the word "Intrapreneur" in the 70s. Gifford was and still is ahead of his time in vision. An Intrapreneur thinks like an entrepreneur seeking out opportunities, which benefit the corporation. It was a new way of thinking, in making companies more productive and profitable. IBM was one of the 1st companies to execute the Intrapreneur approach, when it spun off a separate company as its personal computer division, in the early 80s. The entire leadership of the new company was made up entirely of Intrapreneurs. Visionary employees who thought like entrepreneurs. 3M also followed behind with encouraging it's employee to think of innovative solutions - Post It notes was an an Intrapreneurial, innovative accident at 3M. A Savvy Intrapreneur takes a good idea and makes it better. A Savvy Intrapreneur steps out of the comfort zone of corporate security, to insure s/he creates additional income which at least matches their take home pay. An Intrapreneur works overtime helping to run someone else's business, for the company's future. A Savvy Intrapreneur runs themselves like a business putting in 1 hour a day of overtime for their own financial future. 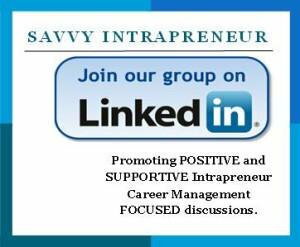 Developing a career while maintaining position at work requires staying focused as a Savvy Intrapreneur. This takes courage. Then step out. Dare to make yourself "fireproof" at work.